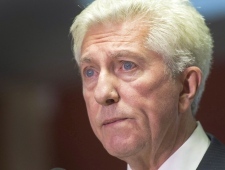 The 93-year-old mother of former Bloc Quebecois leader Gilles Duceppe died just outside of her Montreal seniors’ residence early Sunday morning. She had frozen to death after mistakenly heeding a fire alarm from a nearby building. 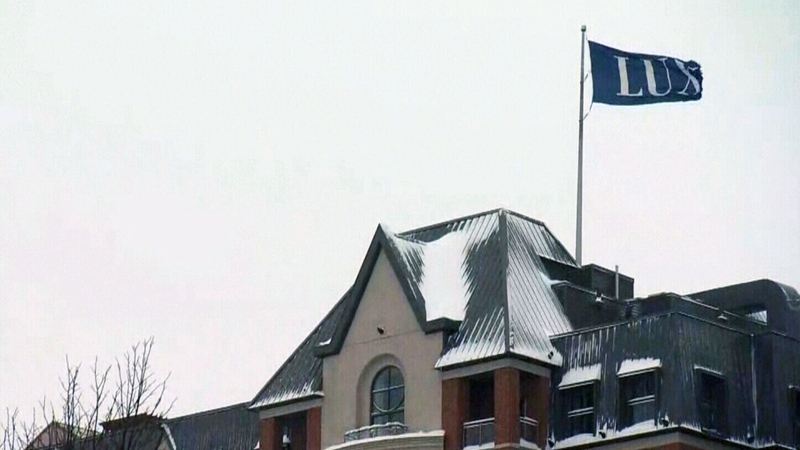 The coroner’s office, which is investigating the incident at the Residence Lux Gouverneur, confirmed to CTV Montreal that the woman was Duceppe’s mother, Helene Rowley Hotte. She married stage and TV actor Jean Duceppe, one of Quebec’s best known performers. He died in 1990. Quebec Premier Francois Legault, who is currently in France, tweeted his thoughts. “I offer all my sympathies to Gilles, his brothers and sisters, and to the whole family in this moment of great sadness,” he said in French. Meanwhile, Marguerite Blais, Quebec’s seniors minister, expressed her condolences to Duceppe’s family and called for an investigation. Montreal police said a fire alarm was set off in a building in the seniors' home complex at 4:15 a.m., but a notice followed indicating residents in Rowley Hotte’s building did not need to evacuate. Rowley Hotte, who had hearing problems, likely hadn’t understood that she didn’t need to evacuate and exited the building. Once she made her way out of the building, she was unable to get back inside because the door was locked, police said. Staff at the facility told CTV Montreal the doors automatically unlock when an alarm sounds, but re-lock once it’s disarmed. Nearly seven hours later the fire alarm, police received a call about a woman lying in the snow. They said she likely died from hypothermia and determined there was no criminal element to it. At the time, it was about -20 C outside due to a severe winter storm, according to Environment Canada. Statistics compiled by the province's coroner's office showed there was 121 accidental deaths in Quebec from exposure to excessive cold between 2000 and 2016 -- 31 of which involved victims aged 75 or older. In a statement, Les Residences Lux called the incident an “exceptional circumstance” and noted Hotte was wearing winter clothes when leaving the building. The facility says she collapsed shortly after evacuating. Some residents questioned to CTV Montreal how an incident like this could’ve happened, given there is supposed to be four staff members working overnight. “My heart goes to him and his family. I know Gillies very well and I know this must be very difficult,” she added. Seniors Minister Filomena Tassi shared her sentiment and added Quebec was taking the lead on the investigation since it was a private residence. 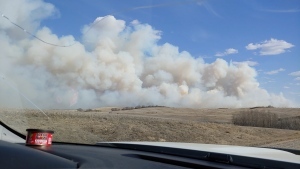 “Just reminds everyone to take care of loved ones and there may be elderly people in their community, having extreme weather now in much of the country, it reminds to all of us as Canadians, to watch for one another." Conservative Leader Andrew Scheer shared his thoughts online over the "tragic news. "I offer my condolences to Gilles Duceppe, his family, and loved ones on the death of his mother," he wrote. On Twitter, NDP Leader Jagmeet Singh told the family, "we're all thinking of you." "This is very tragic – my condolences go out to Gilles Duceppe for this terrible loss. We are thinking of you, and sending our love to Hélène Rowley Hotte's family & friends during this difficult time." In a letter translated from French, leader of the Bloc Québécois Yves-François Blanchet said, "we are wholeheartedly with you through this painful ordeal." He added his entire team expressed their deepest condolences to Duceppe, his wife Yolande and their children Amélie and Alexis. Montreal Mayor Valerie Plante also expressed her sadness online and said she was at a total loss of words upon hearing the news. Tragic news this afternoon about Hélène Rowley Hotte. On behalf of my wife Jill and the entire @CPC_HQ team, I offer my condolences to @GillesDuceppe, his family, and loved ones on the death of his mother. A coroner is investigating after the body of a woman was found outside a Montreal seniors residence.